Craving chocolate cake? Our Mix-in-the Pan Chocolate Chip-Banana Cake to the rescue! This simple recipe is made with pantry staples so you can be ready to serve this treat in under an hour! 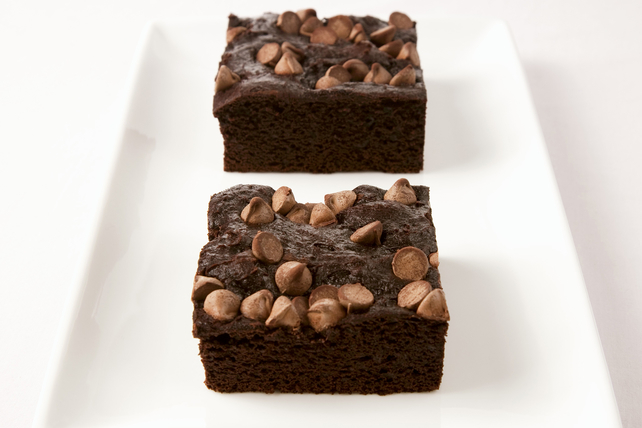 Place unsweetened chocolate in 9-inch square pan sprayed with cooking spray. Add oil. Bake 4 min. or until chocolate is completely melted and ingredients are well blended when stirred. Combine flour, sugar, water, baking soda and salt. Add to melted chocolate mixture along with the bananas, egg and half the chocolate chips; mix well. Sprinkle with remaining chocolate chips. Sprinkle batter in prepared pan with 1/3 cup chopped nuts, such as pecans, walnuts, peanuts or macadamia nuts, in addition to the remaining chocolate chips before baking as directed. Prepare using a 9-inch round pan.